Tee It Up! For The GFPD 2019 will take place in Normal, Illinois on May 16-17, 2019. This will be the fourth annual event held in honor of our son, Max Chapman, who was diagnosed in January 2015 with a very serious, ultimately fatal genetic condition called Peroxisomal Biogenesis Disorder (PBD). All proceeds from the event will be donated to the Global Foundation for Peroxisomal Disorders (GFPD), a 501(c)(3) non-profit charity founded in 2010 to fund medical research and support families affected by PBD. Max is a happy, loving, playful 5-year-old boy who lives in Bloomington. 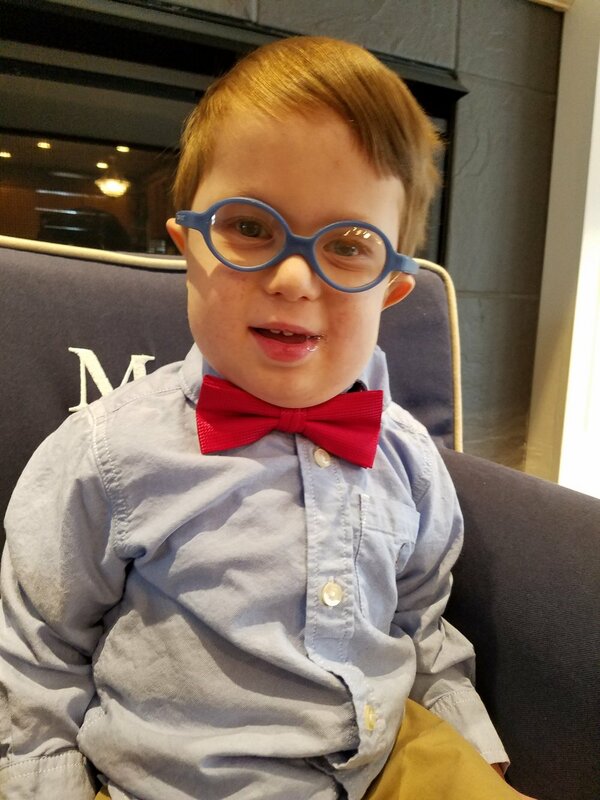 We are heartbroken by the diagnosis, but are inspired and determined to make a difference for Max and all of the children battling this awful disease. We truly treasure every moment we have with Max and celebrate every milestone. PBD, also known as Zellweger Spectrum Disorder (ZSD), is extremely rare and affects approximately 1 out of 50,000 children. Only a few hundred children are known to be diagnosed with PBD worldwide. This degenerative disease affects all parts of Max’s body, with notable impacts to his vision, hearing, liver, muscle and bone strength, and general physical development. There is currently no cure for this disease, though there is ongoing medical research. However, as with many rare disorders, funding is limited. Over the past 3 years, Tee It Up! For The GFPD has raised nearly $375,000! Each year so far, we have been blessed to have over 200 golfers, 400 reception attendees, more than 100 donated auction items, and numerous sponsors, donors, and volunteers contribute their time, energy, and money to generously support this wonderful event! The money we raised has helped the GFPD fund significant research advancements, including a cutting-edge fellowship at the National Institutes of Health (NIH) in Washington, D.C. and the creation of mouse models in the hopes of finding a possible treatment for PBD. In addition to funding medical research, the GFPD also provides crucial support to families affected by PBD and connects those families with the leading medical experts at a bi-annual Family & Scientific Conference. To learn more about the GFPD, please visit www.thegfpd.org. Tee It Up! For The GFPD 2019 will include a Reception and Silent Auction on Thursday evening, May 16th, featuring live music by Dan Hubbard, and a Golf Scramble on Friday, May 17th at Weibring Golf Club in Normal, IL with opportunities to play in either a morning or afternoon session. There are a variety of sponsorship levels and options to provide support, including donating items for the Silent Auction. Please join us in supporting the GFPD! To donate to the GFPD, please click here. Please specify Tee It Up! For the GFPD under "Purpose"